By Alexandra Jardine . Published on July 21, 2014. 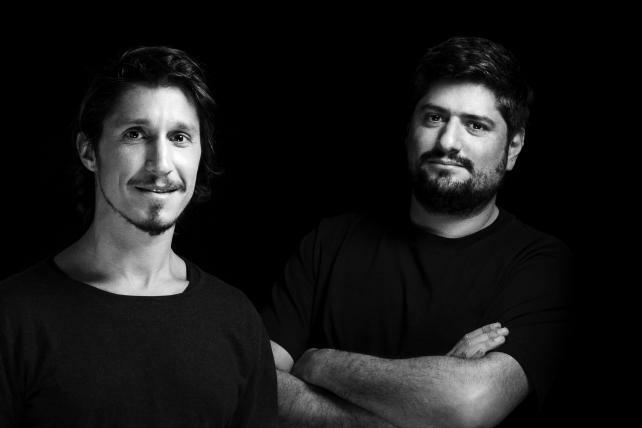 Maxi Itzkoff and Mariano Serkin, the chief creatives at Del Campo Saatchi & Saatchi in Buenos Aires, are moving to Madrid in the roles of chief creative officers for Europe for Del Campo Saatchi & Saatchi. The pair, whose work has included the multi-award winning "Teletransporter" for Inbev's Andes beer and "Almost Identical" for Mondelez's Beldent Gum, have received over 50 Cannes Lions and 30 Grand Prix. They were included in Creativity's Creativity 50 in 2012 while their agency was named International Agency of the Year by Ad Age. Del Campo's Madrid office opened in 2012, incorporating Saatchi's existing shop there. FCB West has recruited Karl Dunn as SVP, group creative director. Dunn, who previously headed the Nissan USA account at TBWA/Chiat/Day, will partner with Julie Scelzo, the SVP, group creative director. He started his career in Sydney and has worked in Singapore, Tokyo, Hong Kong, Johannesburg, Cape Town, Amsterdam and Berlin at shops including BBH, Leo Burnett and Strawberry Frog. Based in San Francisco, he will work on brands including Levi Strauss & Co. and Trulia at FCB West. The agency has also made several other creative hires recently; Steve O'Brien (senior copywriter) and Amy Matheu (art director) joined in April and are based in the Los Angeles office. 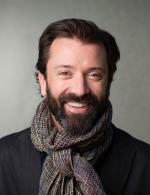 Matheu joined from Crispin Porter + Bogusky in Miami, while O'Brien has worked at shops including Ground Zero, Goodby, Silverstein & Partners, Saatchi & Saatchi, Team One and Innocean. Former Barton F. Graf 9000 creative pair Danny Gonzalez and David Suarez are joining Goodby Silverstein & Partners as creative directors, working on Corona Light and Modelo, among other accounts. The pair went freelance earlier this year after spending two and a half years at Barton F. Graf 9000 working across all brands and serving as CDs on Ragù and Little Caesars. Prior to that they spent time at TBWA/Chiat/Day New York and J. Walter Thompson New York. To mark their arrival, Goodby Silverstein is giving away 100 drink cozies emblazoned with their pictures (pictured). Ex-BBH and Mother creative Bill Moulton has joined New York agency The Bull-White House as ECD and partner. Moulton spent seven years at BBH New York working on Axe, Johnnie Walker, British Airways and Levis before moving to Mother NY in 2008, firstly as a senior art director before being promoted to creative director. He worked on brands including Dell, Optimum, Almay, Johnson & Johnson, Warner Brothers Music and Burger King. The Bull-White House was opened at the end of 2011 by Matthew Bull and has clients such as Unilever, AB-Inbev and Galaxy Foods. New York-based digital agency Kettle has hired Amanda Hughes-Watkins as creative director and Crystal Ginn as senior producer. Hughes-Watkins, based in San Francisco, will expand Kettle's bi-coastal offerings. She joins Kettle after spending the last two years as a creative director at Digitas San Francisco, where she led the creative work for eBay, Paypal and Kraft/Taco Bell Sauces. Prior to that, she worked at R/GA San Francisco on Microsoft. Ginn comes to Kettle with experience as director of production at AREA 17, where she led work with brands like Google Chrome, Billboard, SPIN and Dering Hall. Branding firm Siegel+Gale has appointed Kevin Grady to global head of content and design. Grady joins from IDEO, where he served as design director of its Boston office. Prior to this, he worked at Crispin Porter + Bogusky, Mullen and Arnold Worldwide. He has worked on brands including Grey Goose, FAGE and Benjamin Moore, and his accolades include the Emmy-nominated "Singing Cowboy" from the anti-smoking Truth campaign.